Read two critical perspectives on Magic in the Moonlight (2014, Woody Allen) , from David Robson and Michael Fox. Magic in the Moonlight opens in San Francisco at the Clay Theater and the Century 9 on Friday, July 25, and throughout the Bay Area on Friday, August 1. The Woody Allen movie has always been a wild card, and remains so in recent years. When you see the new Allen movie you could be getting a well-acted and surprisingly stark thriller in the mode of Match Point , or an aimless follow-up like Cassandra’s Dream that squanders the talents of its cast. Will it be a throwaway excursion like To Rome with Love , or, as with Midnight in Paris , will the movie juice its fantasy with deeply felt longing and melancholy? Some have argued that Woody Allen is simply fading through his 70s. His American funding having dried up, he has moved from his beloved Manhattan to other coasts and countries, and seems in a kind of retirement, content to direct lily-white casts in increasingly sunny, lightweight comedies. (Some even extend the argument, suggesting that Allen’s recent Oscar® nominations and wins betray a kind of status quo cuddliness; the sign of a safe, establishment filmmaker.) And yet a deeper look at his recent successes suggests otherwise—working in exile, he’s captured the character of each of his settings as vividly as he ever captured New York. He continues to challenge himself with an ever-expanding and changing team of collaborators. And even the varying quality of his recent work speaks to its diversity, from the frothy fantasy of Scoop to the real alienation, anguish, and heartache of Blue Jasmine . Allen’s latest, Magic in the Moonlight , sees him moving in still other directions, though it could have been made by no one else. Stage magic, a lifelong passion Allen has alluded to in many of his films, takes center stage here, amid the bright setting of 1920s Europe as magician Stanley Crawford (Colin Firth, landing Allen’s malicious barbs just beautifully) is drafted by a colleague to investigate the remarkable clairvoyant Sophie Turner (Emma Stone). Sophie is demonstrating her gift (and making serious money doing it) on France’s sunlit Côte d’Azur; the professionally skeptical Stanley finds himself baffled by Sophie’s apparently genuine talents, and the deeper he investigates the harder he falls for her. A sunlit period romance with a foot in the magic world would be entertaining enough, but Allen leavens his story with more serious themes. Allen’s characters give consideration to surprisingly weighty questions of faith, illusion, the necessity of the capacity to embrace what one knows can’t be real, mortality, and what (if anything) awaits us beyond death. It can be tempting to suggest that Allen is asking these questions (pretty directly—as usual, Allen’s characters say exactly what is on their and his minds) because he is considering his own particular end of the road. But the sincerity and directness of these questions speak not of resignation, but of an ever inquisitive, still adventurous spirit. 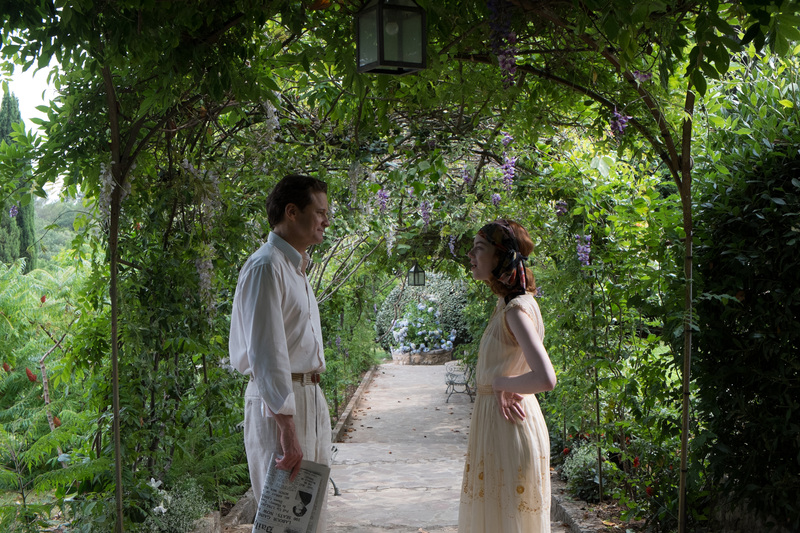 For all of its flaws, Magic in the Moonlight holds together beautifully, and if its weightier issues and moments feel offset by a facile breeziness, it’s only because Woody Allen, even in his 70s, is good enough to make it all look easy. Woody’s not done. David Robson holds a degree in theatre from the University of Virginia. He is the editorial director at Jaman.com, a website that offers a smarter search for new movies to watch on line. David blogs irregularly at the House of Sparrows, but is often too busy seeing movies to write about them. I can’t decide what disturbs me more, Woody Allen’s devolution into the laziest director in the world or the public’s acceptance—nay, embrace—of his wafer-thin conceits and superficial characters. His latest tissue-paper timewaster, Magic in the Moonlight , fulfills the technical definition of a movie and aims no higher, masking perfunctory technique and a disinterest in visual storytelling with Cote d’Azur vistas and 1920s clothes. The yarn revolves around a possible scam, which should be read as a warning rather than a plot point. At the behest of a magician colleague, a popular and arrogant English illusionist (Colin Firth) named Stanley treks to the south of France circa 1928 to expose a young American psychic (Emma Stone). As pink and insubstantial as a newborn, Sophie nonetheless has managed to enthrall a wealthy widow (Jacki Weaver) and is patiently awaiting a marriage proposal from her ukulele-abusing son (Hamish Linklater). The slender, inconsequential story advances almost entirely through dialogue; everything from a telephone conversation to a car accident is described, not depicted. Maybe three minutes of screen time, and I’m being generous, is allotted to conveying information or emotion without words. Now, nobody notices the visuals when the words are as sparkling and profound as they are in Annie Hall or Crimes and Misdemeanors , but the banal, repetitive banter on offer here never goes beyond 1) whether or not Sophie’s a con woman and 2) her potential romantic attraction to Stanley (and vice versa, needless to say). The skimpiness of the dialogue is exacerbated by the one-dimensionality of the characters. For the umpteenth time, Allen gets his wish list of Oscar winners and millennial eye candy (all working at a bargain rate) and gives them nothing to play. When veteran actors of the caliber of Firth and Eileen Atkins (as Stanley’s aunt) can’t infuse their scenes together with meaning and depth, the fault lies in the writing. It may sound like piling on, but Magic in the Moonlight captures the weakest performances the cast has given in their entire careers. Magic in the Moonlight evokes painful memories of Allen’s The Curse of the Jade Scorpion , a wretched effort that employed a felonious hypnotist, and the awful Scoop , in which the director played a magician. Here the director articulates—but doesn‘t dramatize—yet again his fascination with people’s willingness to suspend their disbelief and revel in illusion. It’s an intriguing theme, and one that lends itself to a medium that traffics in illusion and imagination (which Allen brilliantly exploited in the wonderful The Purple Rose of Cairo ). Instead, he contents himself with a dry verbal parry between rationality (defined as acceptance of the visible world) and faith (divine or otherwise, but open to the possibility of unexplainable miracles). Although Allen has made frothy, watchable romantic comedies, this film adds to the weight of evidence that he’s not suited to populist genres. He can’t resist insulting the gullibility (and taste) of the hoi polloi in Magic in the Moonlight , so a happy ending—I bet you didn’t see that coming—feels like pandering. The writer-director doesn’t have it in him to send up the conventions of romantic comedies, but his nods in the direction of magical, irrational love aren’t completely convincing. He’s too much of a cynic. For that very reason, I cut short my applause for the rare Allen screenplay that doesn’t feature a prostitute. A rose by any other name: If Sophie marries the dowager’s son, she’d be a kept woman. ‘Tis a pity, and all that jazz. 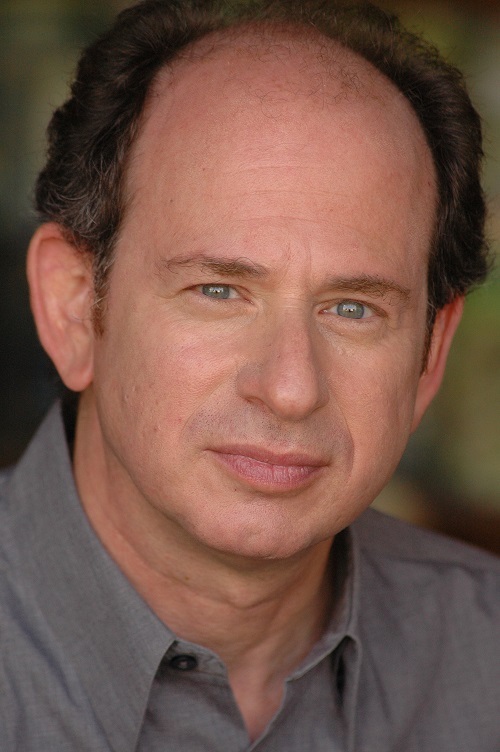 Michael Fox is a longtime film critic, journalist and teacher, a member of the San Francisco Film Critics Circle, and also curates and hosts the Friday night CinemaLit film series at the Mechanics Institute in downtown San Francisco. This entry was posted in Films and tagged Critics Corner, film review, Films, Woody Allen. Bookmark the permalink. I don’t think it’s piling on, Michael. I agree with you. Michael! Well-put. You nailed it. The jaw-dropping series of redundant conversations that dominates the second half of the film, holding it hostage, had me both squirming and cringing. The film is a sad piffle and the fact that it never addresses the 30-year age difference between Stone and Firth makes it more than a little creepy.